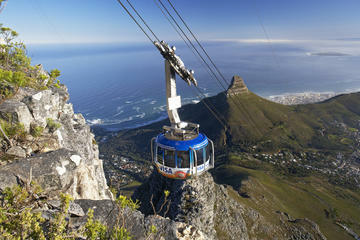 Table Mountain occasionally runs specials during the year, below we have listed the ones that are running. 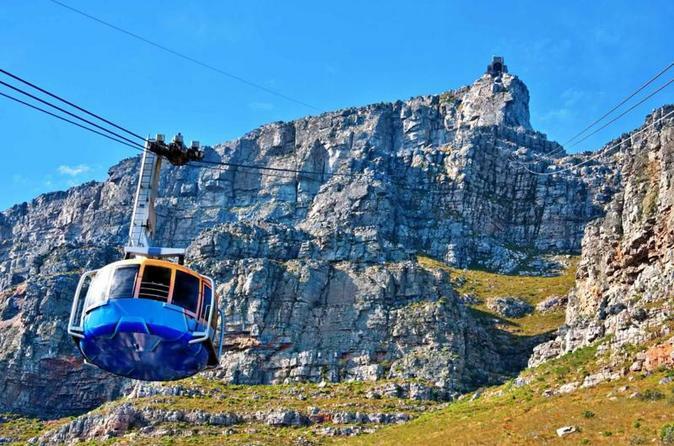 It is advisable to avoid Table Mountain’s free MyCiTi bus service, as it closes at 7 pm. This means that you would have to walk down Tafelberg Road to the lower bus stop. Visit the Cape of Good Hope on a private day tour. See the Penguin Colony and Cape Point Lighthouse. Take in panoramic views from Table Mountain. South African citizens over the age of 18 years old are gifted one free adult return ticket for their birthday each year. This ticket can be claimed at the Visitors Information Centre before 16h30 on your birthday, as well as up to seven days after your special day. This flexibility is especially useful because of Cape Town’s unpredictable weather patterns. Although the African city is generally blessed with warm weather, at the Southern Tip of the continent, the weather can turn in an instant. 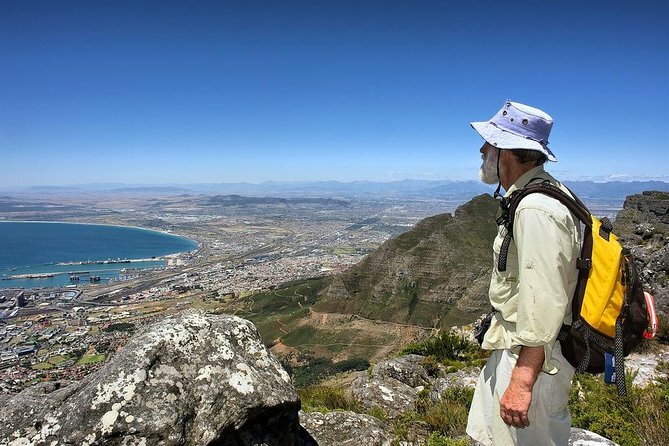 This can make it difficult to plan activities such as summiting Table Mountain. 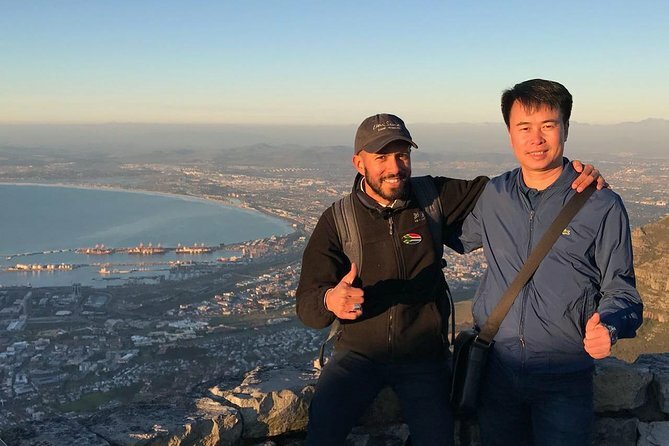 Unbelievable experience and a fantastic guide Fantastic experience, amazing views, great route for hike and our guide was fantastic very knowledgeable of Cape Town, local culture and history! Fantastic tour, left table mountain until last, the tour guide was waiting for the clouds to clear! Perfect, also meant we could spend as much time as we wanted on the mountain as lo as we made our own way back to the hotel! Awesome way of doing it! Great introduction to the city as well. Amazing tour to table mountain. We had awesome time at table mountain. Lucky we bought this package as we no need to line up so long to buy ticket. The food at the top restraurant was very yummy and delicious. The animals and flowers was lovely. A bit of walking. 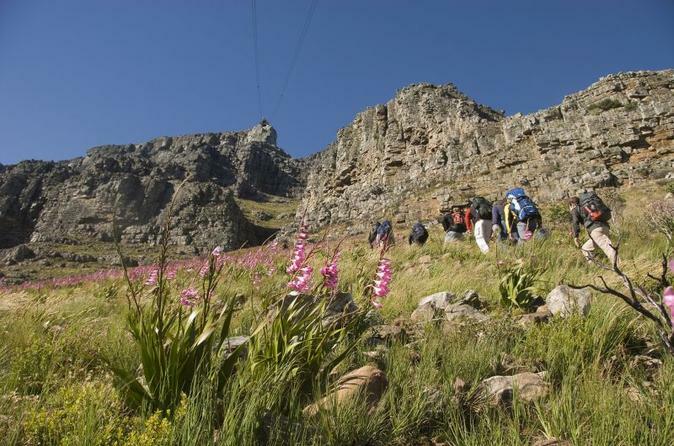 A walk in the park Excellent day with individual guiding in the Table Mountain National Park. Matt, Sephiwe and Kirsty the driver combined to give a comprehensive day in a totally new natural environment for me. Perfect day – Thanks, Jean-Luc! We spent a great day at the Cape and Boulders Beach. Our guide Jean-Luc made us all the waiting lines, was extremly knowledgeable about the area and took very good care of us. Amazing adventure I cannot express my gratitude to Tyler – our tour guide – thanks to him, we have seen so many things within one day. All was perfectly organised – starting from the Table Mountain, visit to the Penguin Colony and Cape Point. It's a long day but it is worth every minute. We were lucky with the weather, nice group of people and of course the tour guide. The route to Cape Point was majestic – landscape and nature – words cannot describe it. Definitely must-do for everybody visiting Cape Town. From Table Montain, you have a very nice view of Cape Town. Unfortunately, we were not informed that the hike is very hard, and that there was a limited amount of time to hike up and down we arrived around 10h and had to be back at 15h. Traveling guides however indicate that it take three hours to go up, so six hours in total for people without much experience with hiking. Amazing hike, views, and an incredible guide! Need to be in pretty good shape to make it to the top. We made it in about an 1 hour 45 minutes. Unfortunately, was cloudy and windy at the top and could not see a thing. It was like being on another planet!!! Took the Gondola down. Overall still highly recommend despite our bad luck with the views. Manny, our tour guide, was amazingly informative. The hike was strenuous (all in our party are in excellent shape, working out 5 days a week) so you should consider your fitness level before booking this hike. The hike was very scenic and beautiful and the reward at the top is spectacular. We were very lucky and the weather was very clear and the view was unbelievable. 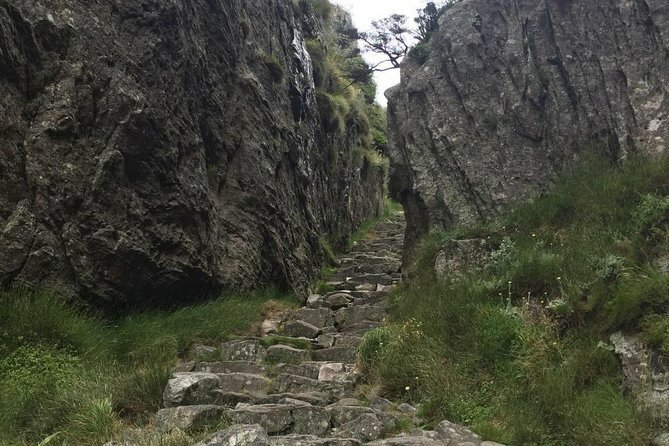 I would highly recommend this hike to anyone interested in taking the difficult path to the top. Great guide. Definitely would recommend this hike. Got to see different parts of the mountain besides the tourist spot. 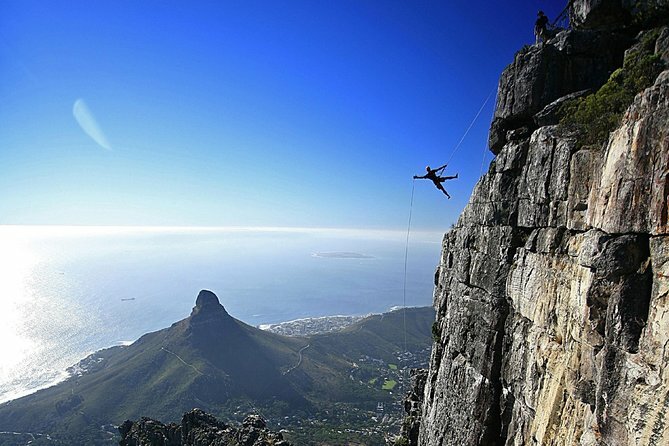 This is a great opportunity to climb Table Mountain. Unfortunately, the cable car was closed due to high winds on the day we booked – our guide, Jeremy, did offer to change the date but this was the only opportunity we had to do a hike. We ended up climbing some distance and then hiking along the contour path past the gorge before going a little way further and then descending. While we were happy to climb up and go down by cable car I thought doing both ways would have been a bit much especially as the track is pretty steep involves a little bit of scrambling and uneven paths. Jeremy was a great guide – helpful and informative. He knew the area really well. Highly recommended. Thankfully our guide encouraged us to hike Loin’s Head instead of rescheduling our Table Mountain hike due to bad weather!! Loin’s Head was amazing. The 360 degree view was gorgeous. 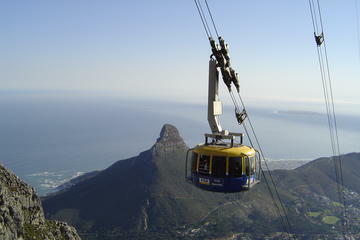 If you are scared of heights like I am, you would never make it up Table Mountain. I even had to stop before the top of Loin’s Head. Dasha and my husband did make it to the top. His photos are beautiful. This tour information should warn you about height and climbing difficulty. You need to be in good shape for this one. Packed lunch was good and Dasha was very informative. She even took us to Atlas Spice shop. Quite the spice treasure. We had the best guide! Jeremy and Danielle were knowledgeable, had great sense of humor and well edcuated regarding the history of SA, the fauna, the trails. They offered us modest challenges in our hike which was tough but well enjoyed.